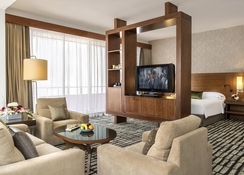 Jumeira Rotana is a 4-star establishment located in the fashionable 2nd December Street in Dubai and is just a 10-minute walk from the gorgeous Jumeirah Beach, Dubai Mall and iconic Burj Khalifa. 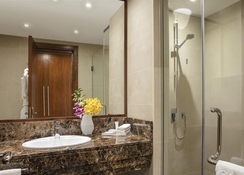 Exceeding the standards in its category, this five-storey property offers fantastic service, comfortable accommodation and quality facilities, with 125 rooms and suites that cater to families, business persons, couples and friends. Relax by the rooftop swimming pool or make a splash with the kids in the children's pool, equally guests can unwind at the state-of-the-art Bodylines Fitness and Wellness Club, complete with a gym and spa facilities. Also, leisure-loving guests, Jumeira Rotana offers a daily complimentary shuttle bus to Kite Beach, one of Dubai's most iconic stretches of sand. Jumeira Rotana has dining venues to suit every palate, with a mixture of all-day dining and upscale restaurants to choose from. 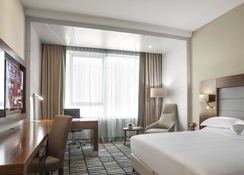 If you want to explore what the surrounding city has to offer, the hotel's bustling street and neighbouring Sheik Zayed Road boast a plethora of eateries and bistros to indulge in. The hotel is situated in 2nd December Street, close to Sheik Zayed Road and is within close proximity to some of the city's main attractions. The pristine Jumeirah Beach is a stone's throw from the hotel, and The Dubai World Trade Centre is 2km away, Dubai Creek is 4km away and the unique Dubai Museum is 6km away. Most restaurants, bars and shopping areas are at a radius of less than 2 km from the hotel, too. Offering a laid-back vibe, the hotel's straightforward rooms have sitting areas, high-speed Internet, flat-screen TVs and minibars, as well as tea and coffee making facilities. Suites add balconies with views, and dining tables. Room service is available. 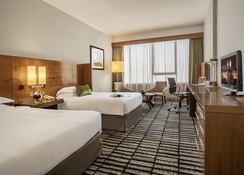 There are a total of 125 rooms at Jumeira Rotana, and guests can choose between Classic Rooms, Premium Rooms, Classic Suites, Premium Suites and Burj Suites. Suites come with state-of-the-art design and with ceiling to floor windows offering breathtaking views with sunlight. The restaurants at the hotel serve up a variety of cuisines, flavours and culinary influences to suit all tastes. Olive Oil serves delicious International cuisine on an all-day dining basis and hosts a different themed night every day of the week, The Boston Bar's upbeat venue speicalises in American and British cuisine and the Pool Snack Bar is great if you're after a light bite. 24 Hours In Room Dining is also available if guests wish to eat in the comfort of their suite. 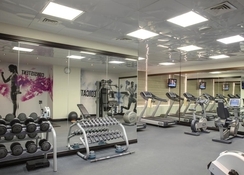 The hotel focuses on the wellness of guests and accordingly has a Bodylines Fitness & Wellness Club on its premises. The club offers a fully equipped gym, a separate sauna room for men and women, a temperature-controlled rooftop swimming pool and a separate kids’ swimming pool. There is also a pool Bar for leisure. 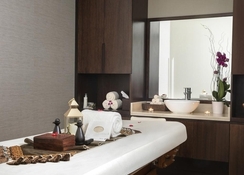 The hotel also offers spa and massaging services. Good, above average needs a few adjustments. I have done a full review on trip advisor, the spare bed needs overhauling as it's aweful on the back . Location is great, there's a nearby shopping centre which we found on our last day. The Beirut restaurant is top notch and generally the staff are pleasant and polite. Break fast is so boring, it's the same stuff nearly every day. Service in morning is co fusing and most of the times there is no where to sit due to too many patrons.